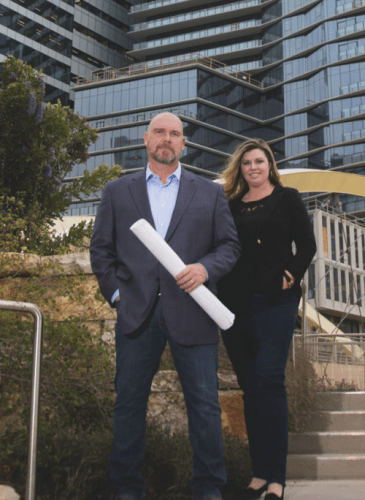 Texas-based Service Tech AV brings a honed installation process, automated ‘Build-a-Bear’ selling system, and requirement that all clients sign service agreements to the high-rise condo and luxury home markets. HOW MANY CUSTOM installation companies mandate their employees attend the company Christmas party wearing onesies, set up a photo booth, cater it with multiple food trucks, and pre-pay car services for everyone’s ride home post-event? Not many. But it’s that sort of corporate culture, along with the development of a series of methodical business process in the areas of sales, installation and service, that have enabled Service Tech Audio Visual in Austin, Texas, to become one of the most visionary custom integrators in the industry. The company, led by president Chris Pearson, has built a corporate culture that embraces diversity and celebrates fun while at the same time successfully competing in multiple markets, including commercial, high-rise condos and ultra-affluent single-family homes. The result is a company where people want to work — an important factor in today’s tight employment market. ▷ A commitment to obtain a service agreement from every client in advance — or else Service Tech won’t take on that customer. ▷ A proprietary “Build-a-Bear” digital portal that allows hundreds of its condo clients to select most of their technology amenities without the assistance of a salesperson. ▷ A well-documented installation procedure for maximizing productivity, which includes a mobile warehouse. Those processes have enabled the 22-person company to attain revenues of more than $10 million, with just two salespeople. The company also excels in large single-family residences, doing several seven-figure projects, including one called Villa Stallarum, which won the 2019 Consumer Technology Association’s Mark of Excellence Awards Home of the Year and includes, among other things, a fully automated observatory. Pearson started in the A/V business back in the mid-1990s working for an integration company that focused on large commercial A/V and IT applications. So the focus of Service Tech AV when it was launched in 2003 was solely on commercial projects, with an emphasis on service agreements. It’s taken awhile to transfer that same service-minded focus to the residential market, but starting this year Service Tech AV is drawing a line in the sand regarding service agreements. “Thank you for buying a $100,000 system from me, but that doesn’t mean it works 24/7 with no maintenance. You maintain your car, your body, your lawn … and your technology system needs to be maintained, too. I understand that it’s expensive, but if you want someone to pick up the phone 24/7, want people entering your house that have drug checks and background checks, want technicians in modern vehicles with access to tools, then you’ve got to pay for it. Those things cost money. You have to pay me for service.” By having the service contract discussion at the beginning of the project, it also avoids that awkward conversation later. To achieve its service goal, Service Tech AV has engaged with OneVision Resources as its service partner. OneVision recently conducted its in-depth onboarding process with the entire Service Tech AV team. That process includes creating the service plan, setting the pricing for the program, and outlining specific conversations to have with clients and any processes that needed to be changed, such as eliminating the old habit of having clients call a technician or salesperson directly. Going forth, all those service calls from clients are directed to a central number at Service Tech AV, which is responded to by the OneVision staff 24/7 as a completely transparent extension of Service Tech. high-rise condo project in the area, while his dedicated service technicians can now focus on other revenue-generating tasks, such as seeking out past clients to look for outdated upgrades. their technology needs. The portal’s software guides the client all way from initial design to formal payment. Using videos, the portal shows customers a pre-designed package for lighting, shades and pre-wire, as well as pre-defined audio and video. The videos are designed in a way to answer potential questions from clients like, “Do you want shades, or do you want speakers in the wall, or do you want light fabric or dark fabric for your shades?” Pearson equates it to an online “Build-a-Bear” shopping experience. ‘Call us for custom’ button,” he notes. The bulk ordering and automatic payment also enables Service Tech AV to expand its buying power. Based on the online orders via the portal, the company now knows how many loudspeakers to order. “I can cashflow it, and I can take advantage of cash discounts,” he says. For the most recent condo project, for instance, there’s a $2,500 pre-wire base with an incentive to add Sonance architectural speakers upfront that immediately turns that base package to a $5,000 price point, or Paradigm speakers for an even higher price point. The A/V packages include selections for soundbars, four- to six-zone Sonos audio systems, Lutron shades, and wall station interfaces layered over Crestron or Savant control. The average technology purchase from the digital portal is $20,000 to $25,000. Some clients are as low as $10,000 while others use the Build-a-Bear system to reach $80,000 in technology. Interestingly, the packages are not rolled into the condo mortgage; ServiceTech acts purely as an outside agent with a contract with each buyer. That scenario absolves the developer from being a service company for the technology in any way, and it keeps the property taxes lower for the units. “No one wants to pay higher property tax because they spent $100,000 on technology upgrades. That adds up over time,” he points out. ▷ Planning out entire floors at a time so products and materials are delivered on time and properly. In some towers, groups of floors will have concrete ceilings, so you are limited in your ability to sell in-ceiling speakers, for example. The pre-wire technician has to know that. ▷ Becoming friends with both the elevator operator and the general contractors so they are trusted to stay on time, especially in that limbo period when the developer still owns the unit and the condo owner has yet to take over. ▷ Committing dedicated resources to the project. Service Tech AV has a person onsite from 6:30 a.m. to 4 p.m. every day. ▷ Attending every safety meeting. There might be 50 safety meetings that take place prior to Service Tech staff ever even starting to pull their first cable, but it is vital the staff attend those meetings. ▷ Cutting in pre-construction brackets for every architectural speaker location. Pearson says that can make the difference between an eight-minute trim-out speaker installation and a 45-minute installation. When the project calls for 700 speakers to be installed, that time difference is monumental. ▷ Complete documentation of every system package that is sold. “We might need 39 ‘A Project Packages’ and 42 ‘B Project Packages’ delivered onsite. I need a checklist so that when our technician walks out of an A Project unit he has checked out every task,” says Pearson. But no matter if the project is a highrise condo or a large-scale suburban abode, thanks to having the right processes, people and partners in place, it seems the sky’s the limit for Service Tech AV’s future.